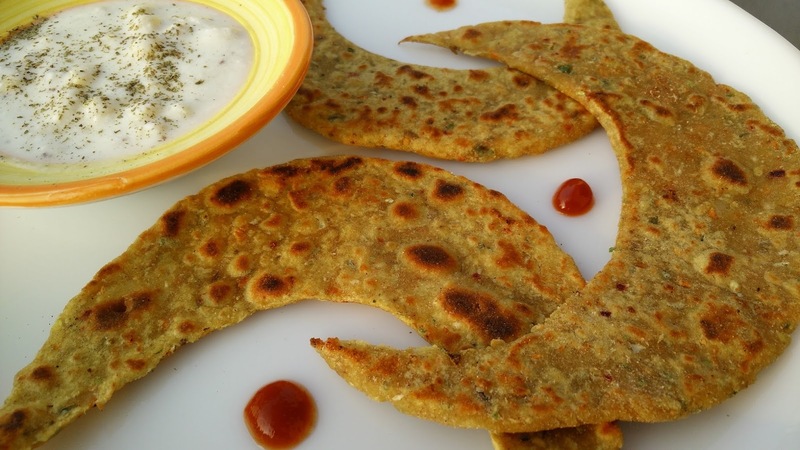 Mix vegetable paratha is perfect Indian breakfast recipe which is full of all nutrients and carbohydrates as it made with a combination of different flours and vegetables. Power pack paratha can be served with curd or flavored yogurt. Chop all vegetables in a chopper and add it to the flours. Mix all ingredients well in dry flour. Then using water knead a soft dough. Roll out rotis with help of rolling pin. Using a cup, remove a section of roti to give a shape of moon. Cook these parathas using little oil. Serve hot with curd or flavoured yogurt.